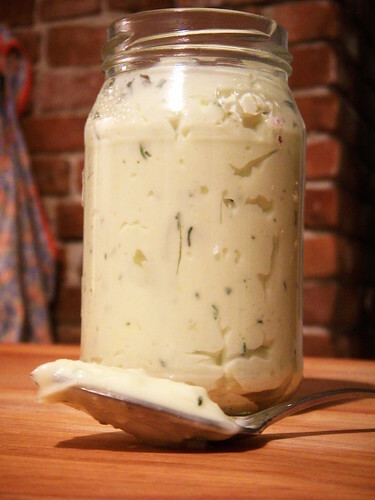 fresh garlic and thyme mayonnaise, originally uploaded by aarn! +30th July, 2008+. had some leftover garlic and green onions from dinner. decided to make mayonnaise for the next few weeks. made an emulsion with the garlic, green onions, fresh thyme, salt, white balsamic vinegar, an egg yolk, 3/4c. of canola oil.